Gooey, slimy, fun vlog for kids is free to watch online now! Learn colors as Yasya plays with slime in this fun and educational vlog for toddlers and kids. Yasya has six colors of slime: red, black, blue, green, yellow, and purple. What will she do with all that gooey slime?! 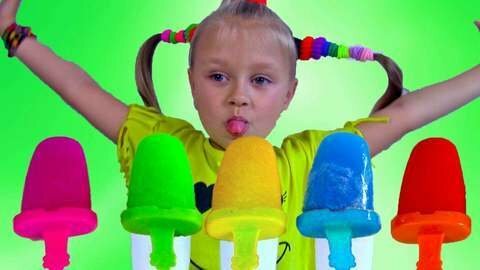 Watch to find out, and can you guess what colors each piece of slime is? Watch along in this fun and educational vlog. More vlogs are available to enjoy at SeeZisKids.com!